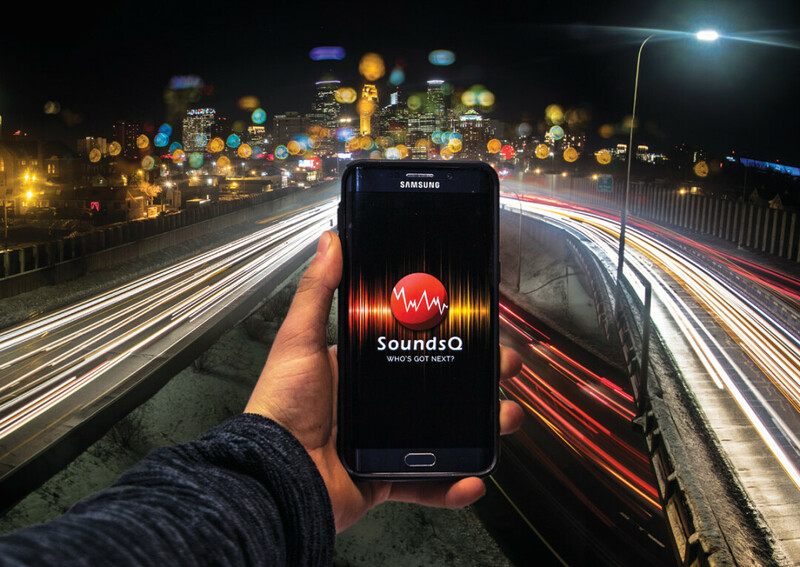 On March 1 of this year, a locally-developed music app called SoundsQ will hit the Android App Store. Its purpose lies in music sharing. SoundsQ aims to allow a group of people, using their smartphones, to create a single playlist, while only one phone remains connected to the speakers. In the past, people may have had to unsync and resync bluetooth speakers, or rotate phones plugged into an aux cord ... like some kind of cavemen. Locally based media company Grand Taiga is behind it all. Creative Director Nick Uthe has big plans for updates and improvements after the initial release. Eventually getting it onto the Apple Store will, of course, allow more widespread use of SoundsQ in addition to expanding its music services. Right now it streams exclusively using SoundCloud, but Nick hopes to add direct music sharing, Spotify, Pandora, YouTube, and more to ensure the party goes on. It’s the first application of its kind with many anticipated future features. Nick painted a picture of this future for me at our sit-down. He hopes that coffee shops and DJs will eventually use SoundsQ to streamline music requests. Instead of having to walk all the way up to the DJ booth, wait in line, and then attempt to shout your request, you could simply have SoundsQ do all the legwork. Similarly in coffee shops, patrons could simply queue up some of their desired songs and let technology do the rest. This is just another example of the brilliant entrepreneurship in the Chippewa Valley. Nick specifically expressed his desire to tie this into the local music scene: He hopes to feature local artists and to contribute to expanding their exposure by increasing audience engagement. That will lead to uncovering more of this area’s artistic gems, which is Grand Taiga’s mission: to create, inspire, and engage.